Graphic design is an essential part of an organisation’s marketing effort. It helps businesses establish their brand, enhances marketing approach, engages with the target customers and displays its services and products in a way that speaks who they are as an organisation. These tasks can be technical and more often than not, cannot be done internally, when there is limited or no available resource. You cannot compromise result of this task as it affects goals of the company. There are designs and projects that are better off outsourced than done in house. So you have a campaign, a brand new marketing stunt and you need a pretty impressive graphic design to come with it but you feel that this is something that you can’t achieve on your own. In this case, ‘leave it to the professionals’ is the best decision you can make. If this is your first time to do this, there are some things you need to consider. 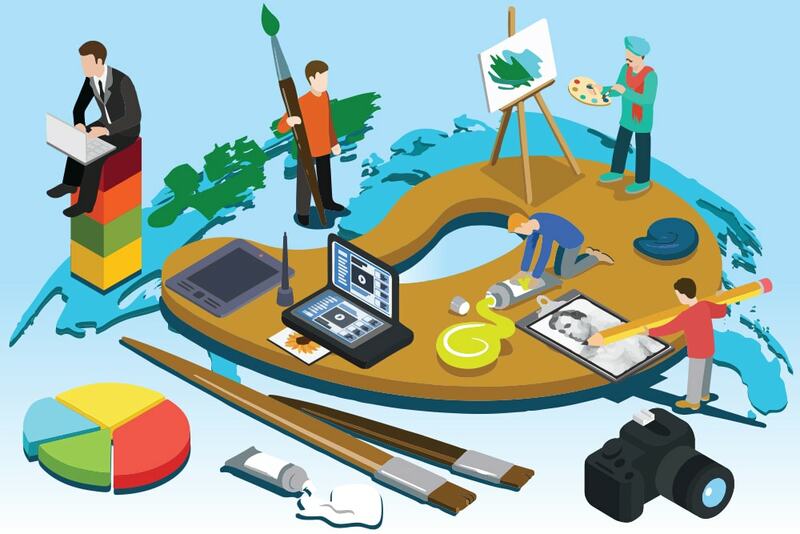 Let this blog guide you to ensure that outsourcing your graphic design project is indeed the smart and best choice there is. Before even thinking about where to outsource your project, create a SMART goal. Again, success is defined as the achievement of the goals set. This can include project time frames and the budget you are willing to shell out. Specifics work best in achieving the tasks. Also, part of this is to determine which parts of the project may be best done in-house or entirely done outsourced. Choosing the right outsourcing partner means that you have to choose a third party who knows what you do as a business. You also want to choose a partner that has a pretty strong background of the service and has clients to back them up. A solid portfolio is always a good sign. There are many companies who are providing these services like TBOS Creative Designs and Animation Services. Get one that knows what he is doing and has the passion to do it. Again you cannot compromise graphic design tasks. You might have heard this phrase a million times already. That is because setting proper expectations really help in succeeding in any business. This is the time where you and your outsourcing partner meets and brainstorms your goals and how you are planning to have them achieved. Go down to specifics. It gives both the client and the partner a common ground, finish line, completion standards. This is also the part where partners and clients agree on terms. Communication is one of the factors that makes a project succeed and fail. There are countess companies who have both succeeded and failed because of good and ineffective communication. This is also a way for you to treat your outsourcing partner as an important part of your business and provide them with all the resources that they need to accomplish your goals. Lastly, if you think that you are not getting to where you want to be with your outsourcing partner doing the project. Be firm and decide when to cut your losses. Remember that it is not only money not spent wisely but also time. Two of the most important resources in your business. So there you have it, the next time you want to have your graphics design outsourced, feel free to contact TBOS Creative Solutions Services.